I’ve been working with the fabricator to identify any possible issues based on the final design. I’m learning a lot about punching, cutting, bending, and welding! The fabrication of a prototype will likely begin later this week. Very exciting! 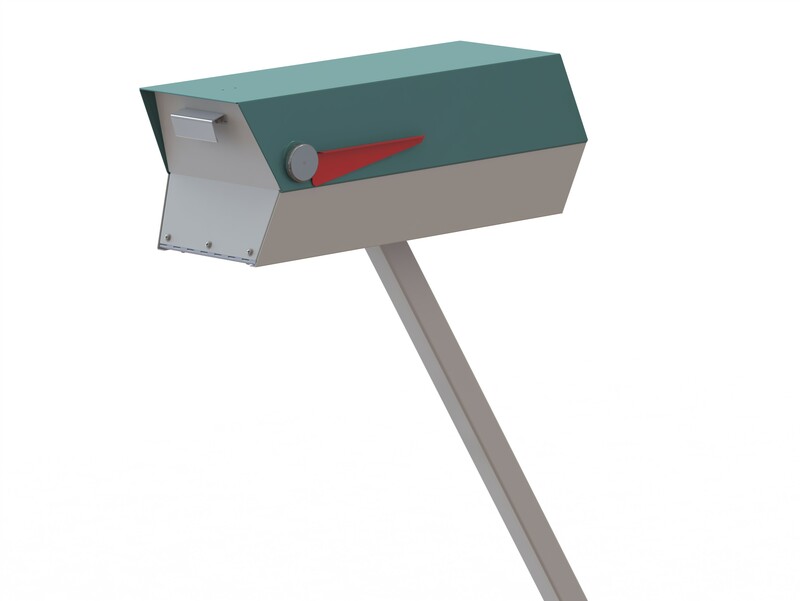 Until then, here is a SolidWorks rendering of the mid-century modern mailbox and post. I’m amazed at how real it looks! Thanks, yet again, to Andy at Vector Product Development.